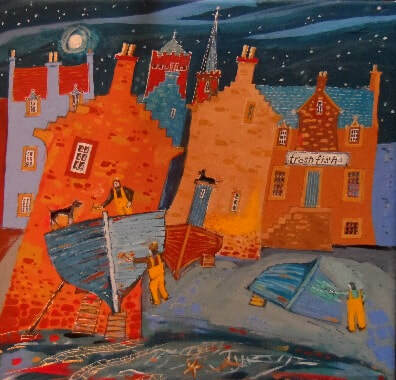 John studied architecture at Strathclyde University. 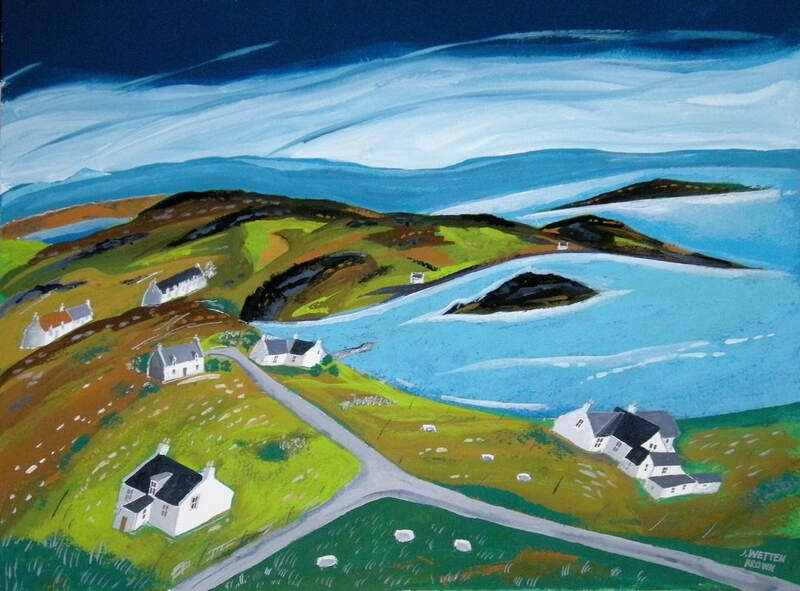 After graduating he continued his lifelong interest in drawing and painting and followed his love of scottish landscapes and architecture seeing them with a fresh and informed eye. 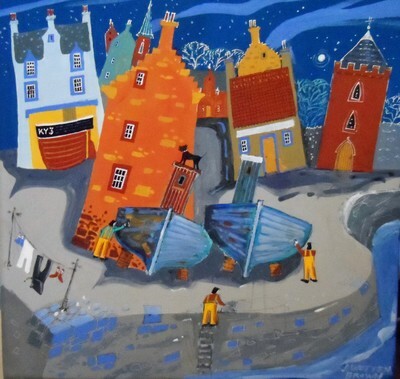 Fixing the boats (40 x 40 cm + Frame) Gouache £495. Blue boat harbour (40 x 40 cm + Frame) Gouache £495. Drinishader, Harris (30 x 40 cm + Frame) Gouache £425. 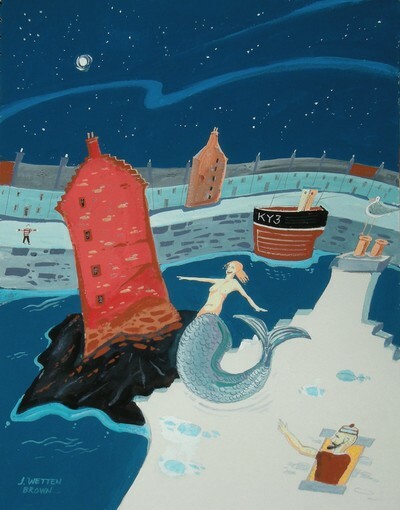 Mermaid on a gable (28 x 20 cm + Frame) Gouache £350.